Trailblazing WA brewery Feral Brewing today became the latest Australian craft brewer to be sold to a major multinational. It has been bought by Coca-Cola Amatil (CCA), the manufacturer and distributor of a broad range of soft drinks, alcoholic beverages including Jim Beam, Rekorderlig and Samuel Adams, as well as a number of food brands. The announcement of the 100 percent acquisition follows hot on the heels of AB InBev's purchase of Sydney's 4 Pines and will shock many Australian beer drinkers, even if it comes after weeks of increasingly heightened speculation in and around the industry. No figures have been released surrounding the sale, but brewery co-founder and owner Brendan Varis (above right) told The Crafty Pint he was staying on full-time "out of choice", and said the decision was driven by the ongoing financial challenges of running the business as well as a desire to speed up long held plans for expansion and upgrades. "We wanted to bring in a shareholder of a size to clear up [debt in the business]," he said. "As the conversation went around, it looked like it was better for all if we sold." He says making the decision "wasn't easy" but believes the new setup will bring significant benefits, including improving the brewery's barrel program, funding long postponed upgrades to the brewpub and allowing him to retrain his focus more on the brewing side of the business. Whatever the reasons, Feral's sale to CCA brings the rapidly changing realities of the local and global beer world into sharper focus than ever before and is likely to elicit reactions from many akin to the sale of Mountain Goat to Asahi in 2015. However you look at it, the operation that launched in the Swan Valley in 2002 is one that has helped define what beer can be in Australia. Feral's beers have long been among the most innovative in Australia – The Crafty Pint secured a mini-keg of 100 percent spontaneously fermented "Swanambic" to showcase at an event in 2012, for example, while the subsequent Watermelon Warhead is perhaps the best known example of a Berliner Weisse style beer brewed locally. They have also been critically acclaimed, with beers as varied as the Hop Hog APA (formerly IPA), Razorback barley wine, Boris Russian imperial stout and Watermelon Warhead all winning major trophies in the seven years this site has been operational – helping Feral take out more than its fair share of champion titles along the way. 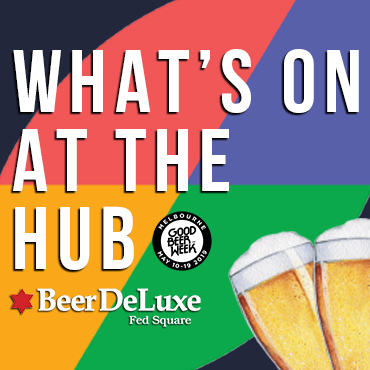 The beers are much loved by the public too, regularly snaffling podium positions in the annual GABS Hottest 100 poll, while the brewery was named Australia's best in the first Beer Cartel Australian Craft Beer Survey in 2016. 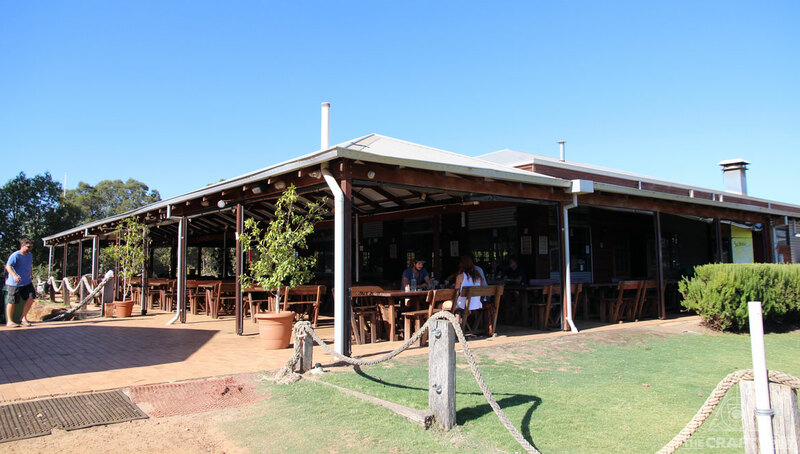 Feral's original brewpub home in the Swan Valley, now set for upgrades with CCA investment. So, while many will understand why the decision was made and congratulate Brendan, wife Gab and their team on building a business to the point that it has been on the radar of the multinationals – not just CCA – for some time, there will be many that, understandably, feel saddened today. "Our beer will be as good or better going forward," said Brendan, when asked what he would say to a Feral fan upset at the decision. 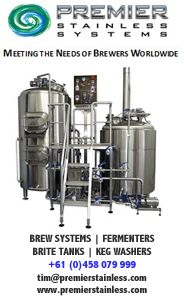 "We will be more prolific in relation to new releases, brewpub releases and exciting releases then ever before. "People started drinking our beers because of the liquid, so judge us on that." Brendan says all Feral beers will continue to be brewed at its two current sites – the large one in Bassendean where they moved with Nail Brewing last year that is capable of producing six million litres per year and the original brewpub setup in the Swan Valley where most experimental and small batch releases are created. He says if, on inspection, the larger brewery in Yenda owned by CCA and Casella Wines proved to be capable of brewing hop forward beers then he wouldn't rule out moving some brewing there. But this would only happen if the brewery could handle Feral's beers. The purchase represents a major coup for CCA. Since re-entering the beer market in partnership with Yellow Tail wine manufacturer Casella in 2013 under the Australian Beer Co banner, the company has gained little traction within the craftier parts of the country's beer community. Despite huge investment in the brewery, major campaigns and sponsorships both in the mainstream and at high profile craft beer events – the Yenda branded Ferris Wheel at GABS in Melbourne, for example – plus a number of trophies and aggressive pricing through major retail chains, the Yenda brand hasn't cut through, with attempts to pitch a multimillion dollar operation as a folksy microbrewery run by Andy, Bob and Greg in sepia-tinged rural New South Wales failing to take hold. Now, however, CCA has the real deal, a genuine star of the Australian beer scene, in its portfolio. As well as the operational benefits outlined above, access to new funds and resources also remove at a stroke Feral's debt and, says Brendan, ongoing worries as to whether they can meet payroll – an admission that highlights just how tough an industry brewing can be even when you're at the top of the tree. With the team staying on and improvements to the existing facilities to come, there's no reason Feral's beers won't remain as good as ever. With Lion (Kirin) owning the likes of James Squire, Little Creatures, White Rabbit, Byron Bay Brewery and, in New Zealand, Emerson's and Panhead, Asahi with Mountain Goat in its portfolio, AB InBev the new owners of 4 Pines and now this announcement, it's clear the challenges for Australia's remaining – and increasingly numerous – independent brewing companies are only going to get fiercer. Here at The Crafty Pint, we have little doubt the market for craft style beers – here we include beers such as James Squire 150 Lashes and the Yak Ales range – will continue to grow, to 20 percent, 30 percent – maybe beyond – in years to come. As this site's founder wrote in the introduction to The Great Australian Beer Guide last year, the question is more about who will own that 30 percent. If a handful of major players are able to control 90-plus percent of that market as they have controlled 90-plus percent of the entire Australian beer market for decades, then has anything changed? In terms of the flavour profile of beer, quality and diversity, yes, we'll be a long way from the "Heavy or light, mate?" nadir of the late 1970s. But, in terms of building a thriving community of small, local businesses, perhaps not. And, while today's cohort of multinational food and beverage (and, sometimes, far more besides) businesses make all the right noises about leaving their acquisitions alone, about wanting to make beer better than ever and so on, history would suggest it's not in their DNA. As for Feral, while there is sadness at Crafty Towers that the company has, as Brendan joked when we spoke on the phone earlier, "gone to the dark side", it's impossible not to wish him, his family and their team well. To come from a small brewpub operation located down a strip of road in the Swan Valley to achieve so much, break down so many barriers for beer in Australia and build a business of interest to CCA and their ilk is no mean feat. Inside the Bassendean facility taken over by Feral and Nail as BrewCorp last year. The team there has been an encouraging and generous supporter and friend of The Crafty Pint since before the site launched, opening the doors of its brewery to our beer family, The Crafty Cabal, late last year, as well as the doors of its home to our actual family – Tilquin in the pool and four-way Clout Stout vertical tasting with Nail founder John Stallwood (pictured top left) by the BBQ, anyone? Indeed, in agreeing to the sale, Brendan ensured that his longstanding friend and brewing sparring partner John was looked after too. Feral and Nail formed BrewCorp together in early 2012, initially as 50/50 partners, with the former buying another 25 percent from the latter when they moved brewery sites last year. 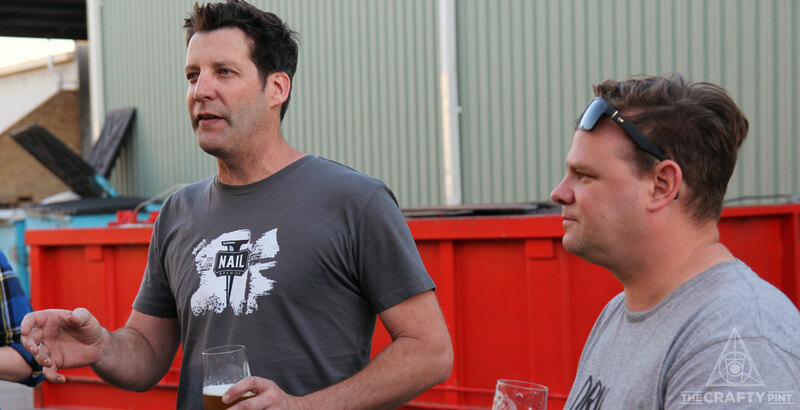 While agreeing the deal with CCA, Feral purchased the final 25 percent share from Nail and has assured John he can continue brewing Nail beers at the Bassendean site as long as he wishes. "A key piece was making sure that the money [John] got for his 25 percent wasn't just what it was worth but also enough to start his own brewery," said Brendan. "We went into this together so [there would be] no deal without him being looked after." Whether Brendan's desire to stay on to drive the next phase of the brewery as it turns 15 this month, to make Feral more Feral in terms of the quality and variety of beers, or his loyalty to his mate will assuage the feelings of some of the brewery's fans – and stop them from moving on to other brewery's beers – is a moot point. As is whether the resistance of other brewery owners to approaches by global players will stay strong now a third key craft brewery has been snapped up in two years. At the start of the year, in a wide-ranging look at where the local beer world could be headed, we wrote "the moves of the major players will add to the pressures on small, independent brewers" and that's certainly proven to be the case. If it leads to higher standards, better education, more unity and a unified voice from the country's remaining independent brewers – as well as a few hefty pay checks for some of the country's best – then few drinkers will be complaining. And, ultimately, it will be those drinkers and their wallets that help shape the future. Today we’re announcing that we have agreed to sell 100% of Feral Brewing to Amatil, one of the country’s leading alcohol companies. Since we first flung open our doors back in October 2002, it’s been pretty much the best journey a brewer with a vision could have hoped for. I’ve lost count of the number of different beers we brewed, how many of them we introduced to Australia for the first time, how many beer awards we have received, the great people who have joined our team and how many consumer or industry polls we have either topped or been recognized as standouts amongst our peers. The time has come for us to make a tough decision in the best interest of our future, our loyal craft beer consumers and the amazing team that we have within Feral brewing. Making innovative premium quality beers that are well executed and have high drinkability is what the team here loves to do and what consumers admire most about us. But a growing business is a hungry one. We have a lot of future plans for the business which, if Feral needed to rely on my personal balance sheet to fund, would take years to execute. After a lot of in depth conversation, the management team within Amatil’s alcohol business have me totally comfortable that the follwoing three key outcomes would be embraced and delivered by their team as well as few other things further down on our wish list for good measure. The great people that had joined our team would be able to continue what they love to do and have their futures preserved. Our mission of making beer that we love to drink and that we have personal respect for remains the primary goal of the brewery. This is not a decision that I have taken lightly and not one that I expect to regret one little bit. I have no doubt whatsoever that both our loyal craft beer consumers and the amazing team that we have within Feral brewing will look back in a few years’ time and realize this was the best thing for all. The beer business at Amatil is still relatively young. Due to that, their focus is very much about building brands, which is exactly what Feral needs currently. After lots of conversations I became comfortable that they understood exactly what they would be buying when it came to the Feral business. With the bigger team behind us we will be able to expand our innovation program and have access to a distribution network that will put our beers in front of thousands more craft beer consumers. This has been an amazing 15-year journey for us but I feel I have taken the business as far as I can on my own. Having the support of Amatil will allows us to fulfil some of our future goals and ambitions of Feral far sooner than we could have otherwise contemplated. I’m delighted to have the full support of the Amatil Group, here are a few words from their Group Managing Director, Alison Watkins. And also from Shane Richardson, the head honcho of their Alcohol & Coffee business. “We saw a great opportunity to add this outstanding craft beer range into our portfolio, along with the team led by Brendan and Gabrielle who have built Feral Brewing Co. to be recognised as one the most respected craft breweries in Australia. So, that’s it. We’ve joined their team and I have absolute confidence going forward that everything that everyone liked about Feral brewing in the past will not only be maintained but built on and improved in the future and that I will be able to turn up and make a contribution to that and do that because I chose to and love doing so. Some Questions you might want answered…. We had a lot of future plans for the business which, if Feral needed to rely on my personal balance sheet to fund, would have taken years to execute. The initial conversations were around taking on an equity partner to clean up some debt within the business to allow us to commence on a few new initiatives. As discussions progressed it became clear that full a sale would deliver the best outcome for all. The beer business at Amatil is still relatively young. Due to that, their focus is very much about building brands, which is exactly what Feral needs currently. After lots of conversations I became comfortable that Amatil understood exactly what they would be buying when it came to the Feral business. They realize that our values of innovation, beer quality and community are fundamental to who we are and our future success, and they’re as invested in that as we are. We saw a great opportunity to add this world-class high end Australian craft beer range into our portfolio, along with the people behind them. It’s a space we don’t currently play in but is in strong growth, which plays perfectly into our long-term beer strategy to build our business to scale through credible beers that really resonate with today’s consumers. What will happen to all Feral staff? They’ll keep doing exactly what they do now but their paycheck will be picked up by someone else. What does this mean for Feral, will you continue to be part of the IBA? Will the beer be the same? Will you still be involved? What does that mean for Feral customers? Nothing, it’s business as usual, deliveries as usual and invoicing as usual, all still from Feral. Wherever a customer has an existing relationship with Feral, that relationship will remain. What does that mean for Amatil customers? It just means access to an even better craft beer portfolio in the future and the support of an upweighted specialist craft beer team. Will you keep the Feral sales team? Yes, there’s no change there. Will there be any changes to the Feral beers or brewery? No, it’s business as usual. Will you keep your cold chain delivery? Yes, cold chain delivery will continue as usual. Will Feral beers be available in more states? Feral beers are already available in all states (some with limited distribution), that won’t change. We’ll be looking to upweight distribution in 2018. Any changes to Feral’s marketing? Ultimately, we’ll look to gain a better understanding of each other’s businesses and customers, work together on the best way to operate going forward, whether that’s introducing a Feral specialist in every state, extending availability in states like QLD, etc, all that’s for the future. The Independent Brewers Association would like to congratulate Feral Brewing Co, in particular Brendan & Gabi, on the sale of the business to Coca-Cola Amatil. We are currently investigating what the sale means for Feral’s eligibility to remain a member of the Independent Brewers Association and will make further comment once these investigations are complete.